Arik Blakefield gave up his claim to the dukedom of Draloch and descended into the demon world to save his younger brother. Now trapped in the Underworld, Arik has become the feared Dragon Lord known as Bloodaxe, one of the two black dragons destined to rule over the realms of man and demon. As the ancient prophecy written in the Stone of Draloch unfolds and the demon armies prepare for battle, Bloodaxe knows he must renounce all ties to the mortal world into which he was born. But giving up his all-too-human heart is not so easily done once Lady Georgiana Wethersby is taken captive and given to him as a gift by the reigning High King of the Dragon Lords. Lady Georgiana ought to be afraid of the sinfully handsome demon lord who now controls her fate. But Bloodaxe stirs a longing in her heart and she cannot rid herself of the feeling that he is someone important to her. How are they connected? He will not tell her. As the dangerous High King realizes his mistake in bringing her, an innocent, into the Underworld, and seeks to destroy her, Georgiana can only turn to Bloodaxe for help. Does she dare trust this Dragon Lord? Will the secrets of his past doom them, or will her love be enough to change the course of destiny? This series has been really entertaining. Author Meara Platt’s fast-paced, high energy writing takes the reader on a twisted journey of fantasy where it is all quite believable. Garden of Destiny is a story of a hero, Lord Bloodaxe, who has basically given his life for his younger brother, Saron, an act of complete selflessness. He helps his brother escape the Underworld, a place which eventually saps any good had from the person you once were. To survive you must kill, battle other demons and connive amongst each other. Lord Bloodaxe would do it all over again. He hurts, however, because Saron thinks he’s evil and is convinced he killed, Gideon, his son. When Lady Georgiana is drawn into the battle of wills in the Underworld, Lord Bloodaxe works to get her back where she belongs, back home in England and out of danger. To stay in the Underworld would destroy her. She had once been betrothed to Bloodaxe when she was but an enfant, when Bloodaxe was called Arik Blakefield, and heir to the Duke of Draloch. Arik no longer exists. Bloodaxe is the demon he’s become, a much darker being, one who enjoys the fight and the kill. But Georgiana affects Bloodaxe. She softens him somehow. Either this will destroy Bloodaxe or could save the Underworld from the evil King Brihann. The Stone of Draloch has a prophecy inscribed on its wall. The prophecy is quite simple. Two black dragons shall reign supreme. To black dragons shall unite the worlds of demon and man. Of the five Dragon Lords, three are black: Bloodaxe, Brihann, and Saron. Saron is no longer in the Underworld, thanks to Bloodaxe. Bloodaxe plays a part in the Underworld, keeping peace through his strength. He and Lord Mordain, another Dragon Lord, are the peace keepers, but Brihann, with his greed, is determined to take his demons through a portal and rid the world of mankind. Is there enough decency left in Bloodaxe to save the Underworld? Even though there is lots of tension building, there are scenes where Lady Georgiana’s humor and good nature is brought forth. One particular scene is when she learns Charon and Styx, Bloodaxe’s dogs, understand what she is saying. You’ll get some chortles from it. We didn’t really get to know Lord Mordain, also a Dragon Lord in the Underworld, in the previous books of the series. It is only hinted at he might be one of the good guys, and in Garden Destiny, he is more fully fleshed-out. He is someone I hope has a story of his own, because he has a certain charm. Will Brihann succeed in opening the portal to let his demons through? Is Bloodaxe strong enough to keep him from raging war with the humans? Will the Fae be able to weigh-in to keep the Underworld controlled and the realms separate? Georgiana believes love is so powerful a force, it can conquer evil. She knows she loves Bloodaxe and will do anything to save him. But, Bloodaxe is in denial. He doesn’t accept Georgiana as his dragon mate, even though his heart tells him otherwise. 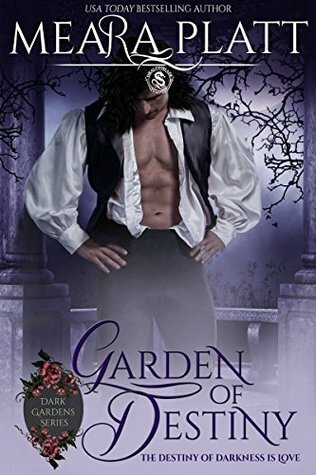 Garden of Destiny is a story worthy of the telling with plenty of action and thrills, balanced with the softer side of life. We experience the demon battles, dragons clashing. We step into the Fae realm to re-acquaint ourselves with the Fae king and queen. We cheer the good forces with bravado, determined to have Georgiana succeed and lastly, we affirm there is no greater power than love. 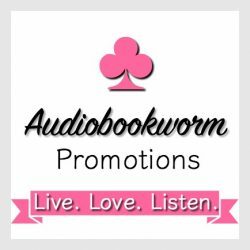 This entry was posted in Action/Adventure, Book Reviews, Fantasy, Fantasy Romance, Historical Romance, New Book Release, Regency Romance and tagged Book Review, Historical Regency Romance Fantasy, Meara Platt. Bookmark the permalink. oh this book sounds like a well balanced romance….with some of my favorite aspects. Action, thrills, and a good story of the power of love. LOVE those!!! Great review here hun. Thank you. If you haven’t read books one through three, you should start with those. It’ll make the read more entertaining.